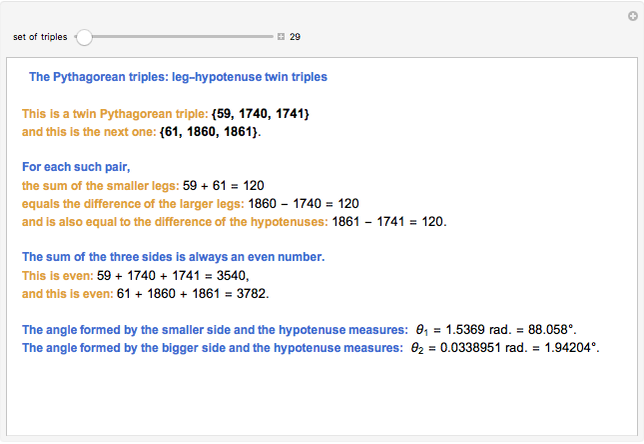 A twin Pythagorean triple is a Pythagorean triple for which two values are consecutive. 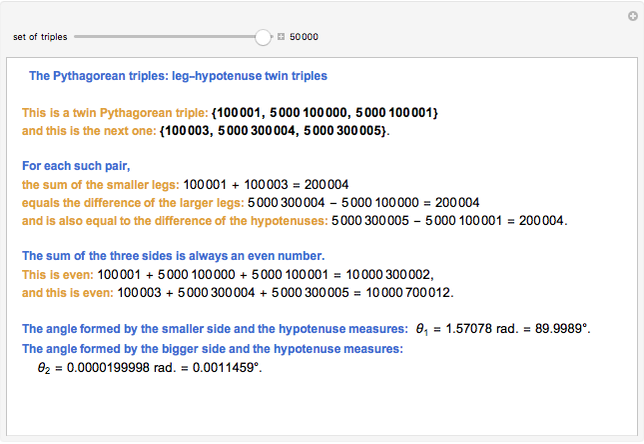 This Demonstration generates 100,000 twin Pythagorean triples, calculating two at a time. 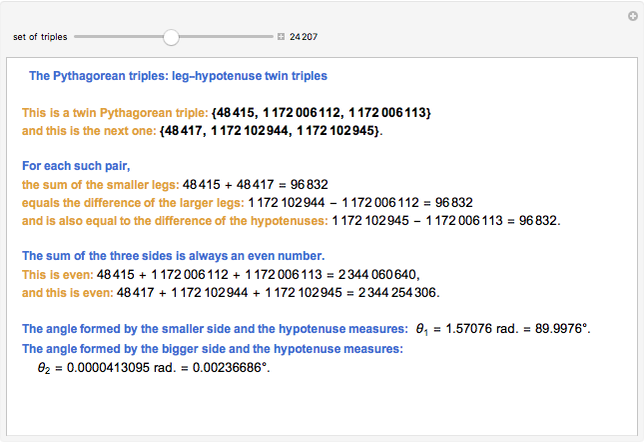 Alvaro Jose Ibarra Rivas (Institucion Educativa Santa Fe Santiago de Cali,Colombia) "Twin Pythagorean Triples"